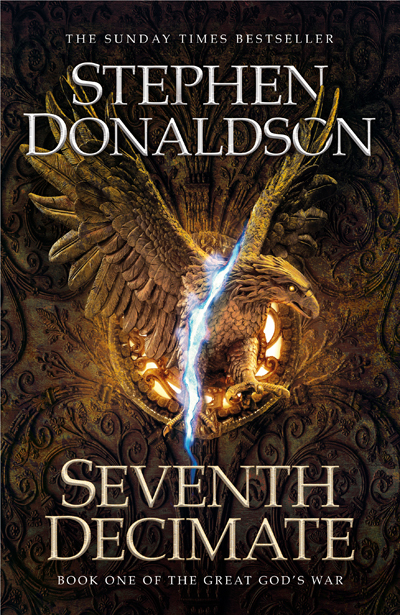 After dropping out of his Ph.D. program and moving to New Jersey in order to write fiction, Donaldson made his publishing debut with the first “Covenant” trilogy in 1977. That enabled him to move to a healthier climate. He now lives in New Mexico. After spending seven years on his five book Gap sequence of science fiction novels, Donaldson published a second collection of short stories and a fourth mystery novel. He then put 12 years into writing The Last Chronicles of Thomas Covenant. His most recent book since completing the “Covenant” epic is The King’s Justice: Two Novellas. And he keeps on writing.